For a safer, more productive workplace tomorrow. We offer a wide range of background screening services to help you make better hiring decisions and manage your human capital risk. All of our services are offered with a strict commitment to legal compliance, accuracy, and oversight. Set up your account quickly and easily. Switching providers can feel overwhelming. We make sure it isn’t. With just some basic business information, your dedicated Proforma Screening representative will take the lead and make the process quick and painless. Order online and manage your screening program on your terms. Efficiently add new applicants into the pipeline, easily monitor progress, and quickly make decisions based on the resulting reports. 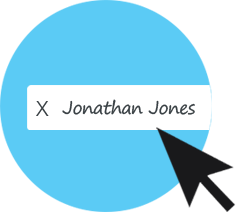 Candidates can set themselves up. Your applicants will appreciate the intuitive and secure web-based interface to self-enter their information. Applicants can also easily provide their consent using our unique signature capture technology. Let our experts design the most effective and affordable background screening program for your organization. We know exactly how to strike the right balance between safety, compliance, and your need for information. 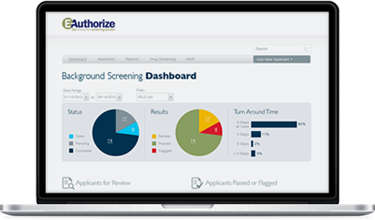 Proforma’s E-Authorize system manages critical compliance requirements related to applicant authorizations and data security for worry-free background screening. “As a leader in the Talent Acquisition space for over 10 years, I have had a lot of exposure to many background vendors. My experience with Proforma the last two years, has been profoundly different and better! The level of customer service and attention that we get is a significantly more positive experience that I didn’t know was possible in the Background space. Proforma and my Account Manager are so easy to work with, quick to respond and go above and beyond to get our questions answered. I also went through an integration with Proforma that was seamless and efficient and we couldn’t be happier with the outcome!”– Dana Duman, Director of Talent Acquisition at WOW! Enter the number of new hires per month for ballpark pricing. Just remember, we will customize pricing and services to meet your specific hiring and screening needs. We strive to offer the best pricing and the best service in the industry. Request a proposal now. Do you have an immediate or upcoming employment background screening need? Provide details below and we’ll respond with a customized quote.